The Middle Eastern Student Association (MESA) partnered with the Muslim Student Association (MSA) to host their first event of the fall 2018 semester: a vigil service honoring the lives lost in the synagogue shooting in Pittsburgh, Penn. of the synagogue shooting in Pittsburgh, Penn. 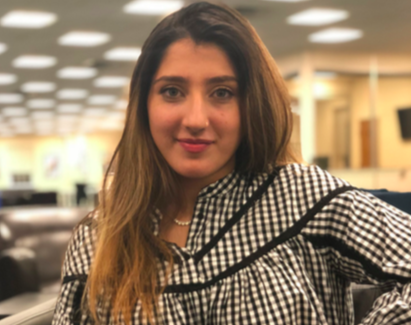 Mumnoon founded the club in the spring 2018 semester along with fellow student and president of MSA, Humdia Barakzai. Originally, the club was created because Mumnoon, who is Pakistani, felt there wasn’t enough of a Middle Eastern presence on campus. She wants to learn about other cultures and share her own. Mumnoon believes it is important to stand in solidarity with people from all walks of life, which is why they decided to hold the vigil service. “We will continue to support everyone around the world and contribute to any fund- raisers and charitable events,” Momnoon said. For future events, MESA plans to host potential guest speakers like comedian and political commentator Hassan Minhaj, and Islamic public speaker Noman Ali Khan. They also plan to have an end of semester grande formal as well.